The prevalence of methicillin-susceptible Staphylococcus aureus (MSSA) bloodstream infections (BSIs) has increased in many countries, including Ireland. This study aimed to investigate the molecular epidemiology of MSSA causing BSIs in Irish hospitals between 2006 and 2017, when MSSA BSIs increased, to identify any potential patient or pathogen contributing factors. A total of 252 MSSA isolates from patients in Irish hospitals in 2006/2007, 2011 and 2017 underwent spa typing and DNA microarray profiling. Each patient’s gender, age, 14-day mortality and epidemiological context of infection were recorded. Significant increases in community-onset (CO) MSSA BSIs and the average patient’s age and decreases in hospital-onset (HO) MSSA were identified. Although, extensive genetic diversity was detected amongst the isolates, i.e. 24 multilocus sequence type clonal complexes (CCs)/sequence types and 124 spa types, three CCs (CC30, CC45, CC5) dominated, albeit in different proportions, during the study periods. CC30 declined significantly, in particular spa type t021, and was more common amongst HO-MSSA and CC45 and CC8 increased, particularly spa types t015 and t008, respectively, and were more common amongst CO-MSSA. Five of the seven most frequent spa types were more common amongst CO-MSSA. Although overall multidrug resistance decreased, the prevalence of erm(C) increased significantly and virulence genes decreased, mostly notably egc, tst, scn, sep and fnbB. This study highlights the threat posed by the increasing prevalence of CO-MSSA BSIs and suggests an association with the increasing prevalence of CC45 CO-MSSA, decreasing prevalence of CC30 HO-MSSA, an ageing population and an overall decrease in virulence and resistance genes. The online version of this article ( https://doi.org/10.1007/s10096-019-03523-0) contains supplementary material, which is available to authorized users. We thank the hospitals for referring their isolates to the NMRSARL and the staff, past and present, of the NMRSARL, for technical assistance. This work was supported by the Irish National MRSA Reference Laboratory and the Microbiology Research Unit, Dublin Dental University Hospital. Ethical approval and informed consent were not required for this study as isolates were collected as part of routine patient screening and no identifiable patient data was accessed for the study. 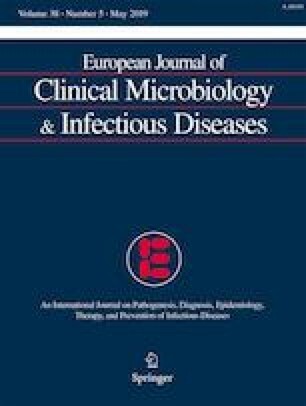 Grundmann H, Schouls LM, Aanensen DM, Pluister GN, Tami A, Chlebowicz M, Glasner C, Sabat AJ, Weist K, Heuer O, Friedrich AW, ESCMID Study Group on Moleculae Epidemiological Markers; European Staphylococcal Reference Laboratory Working Group (2014) The dynamic changes of dominant clones of Staphylococcus aureus causing bloodstream infections in the European region: results of a second structured survey. Euro Surveill 19(49). https://doi.org/10.2807/1560-7917.es2014.19.49.20987.